With all the travel and gift-buying expenses normally adding up during the holidays, it can already be difficult to stay on budget. Add in all the expenses associated with moving- from movers to boxes), and you’ll probably need to look at tightening your belt. There are a few things you can do to cut costs during holiday moving. First, try and get a mid-week move if you can. Moving companies will often be short-staffed during holiday weekends, so aim to avoid these as well. Finally, begin working out your budget well in advance. Try to avoid relying on credit cards, as this can be a stressful way to start the new year. Instead, aim to set aside a certain amount each week in the lead up to the move. The last thing you’ll want to do is be packing in the lead up to the holidays. Usually, you’ll have at least a month’s notice before moving day. While it can be tempting to put your packing off, make a list and aim to get one room packed each week. That way, the move will feel less overwhelming- particularly if you’re also trying to visit family and friends over the holidays. If you’re the festive type, the idea of an undecorated home during the holiday season can be a depressing one. If you have small children, you may want to keep a few things hanging in their rooms, such as Christmas stockings or garland. It’s a good idea to save a big box for your Christmas decorations so you can quickly unpack these soon after you arrive. A large part of moving is getting rid of the junk you’ve had lying around the house for years. You’re also likely to find things like toys and clothes that your family has outgrown, along with electronics and furniture you no longer use. Luckily, there are charities like The Salvation Army, Habitat for Humanity and Goodwill which are willing to pick up your donated items free of charge. Not only is this an appropriate way to kick off the holiday season, but if you save your receipts you can write those donations off when it’s time to do your taxes. Obviously, the weather for your holiday moving is out of your control. If you’re relocating to or from the Midwest or Northeast, you’ll need to be prepared for cold (sometimes freezing) temperatures. From white-out blizzards to icy roads, the holiday season can mean challenging weather conditions. However, there are a few ways you can be prepared for the weather, which will prevent you from being blindsided and dealing with last-minute weather issues. Stock up on winter-ready clothes and proper moving supplies to deal with the worst possible weather conditions. Salt, shovels, gloves, hats, and boots may all be necessary. When you’re packing, use as many waterproof plastic bins as you can. Be especially careful when it comes to slippery stairs and sidewalks. Don’t forget to make sure your electricity and heat are already turned on in your new house before you arrive. Sadly, robberies and home invasions tend to increase during the holiday season. According to the FBI, each November and December, more than 400,000 burglaries take place. 60% of burglars surveyed said that if they noticed a home alarm system, they would look for another target instead. To safeguard your new home, be sure to set up your security system before you move in. You’ll need to arrange this with your security system provider a few weeks before you move so they can install your system and ensure it’s working before moving day. Regardless of the time of the year and the stress of holiday moving, find the time to sneak in some fun. Let the kids know that Santa will still be able to find them. Take the time to relax and have a family dinner after long days of packing and moving. Put on some holiday music while you’re packing, and talk to the kids about how nice the holidays will be next year in the new house. If your appliances and kitchen supplies are already packed, many hotels offer a sit-down Christmas lunch and dinner over the holidays which can take the pressure off. One of the biggest considerations when moving house? 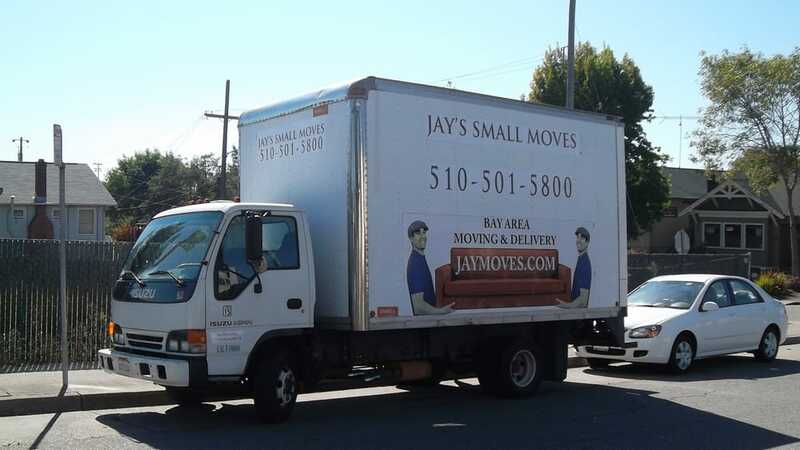 Finding the best moving company. This can be the determining factor when it comes to the levels of stress that you and your family experience during your move. It’s a good idea to begin researching moving companies early on, so you can choose one that will help you feel as relaxed as possible about the move. Aim for a company with a number of testimonials and reviews online, so you can be sure that they’ll be professional and efficient during your move. Are You Planning Holiday Moving? The above tips will help ensure you’re ready for your move these holidays. If you’re planning your holiday moving, we’d love to help. We know how stressful it can be to move over the holidays, and our experienced team will do everything they can to make your move as easy and smooth as possible. Get in touch today, and learn how we can help you with your move during the holiday period.